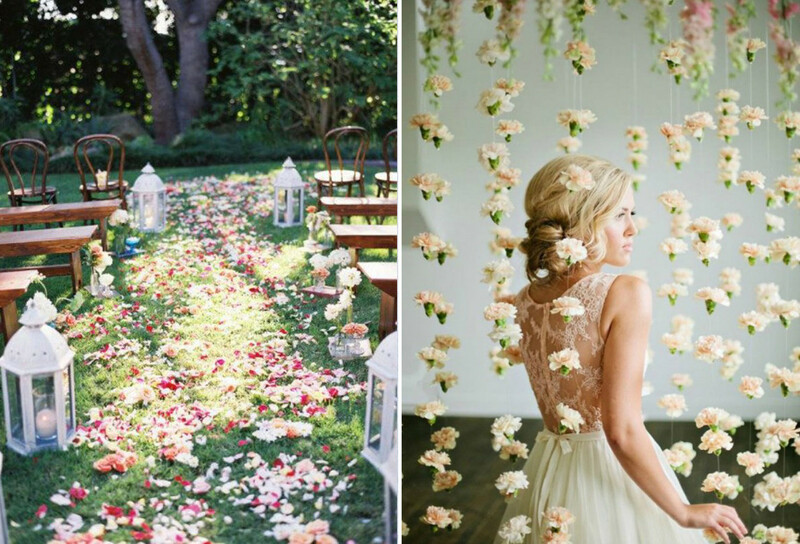 There are endless variations, themes and colors one can incorporate when it comes to garden weddings. One of the most popular approaches is to have it in the intersection of rustic and flowery; combining a little rugged and with a little feminine. 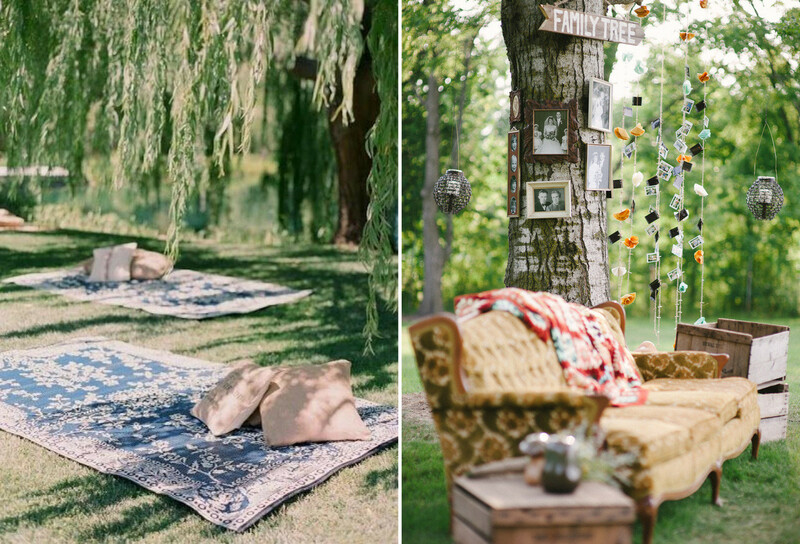 As the summertime approaching, it is the perfect timing to have an outdoor wedding in a beautiful garden setting and let your guests be enchanted by the beauty. 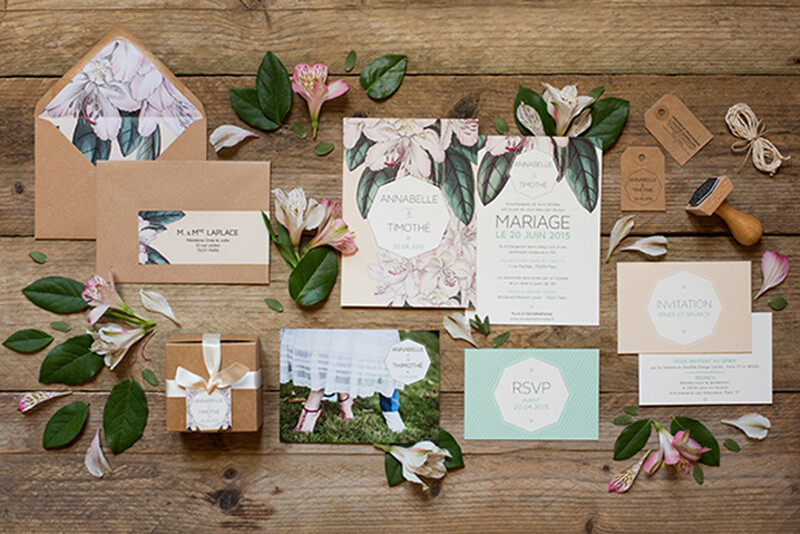 Craft your invite in the intersection of floral and rustic by incorporating floral patterns with earthy tones to create that natural look to your invitation. An interesting idea, slip in dried flowers into the invitation or a little potpourri for that extra charm. Dress your bridesmaids in flowery dresses to stick with the garden theme you’re carrying. 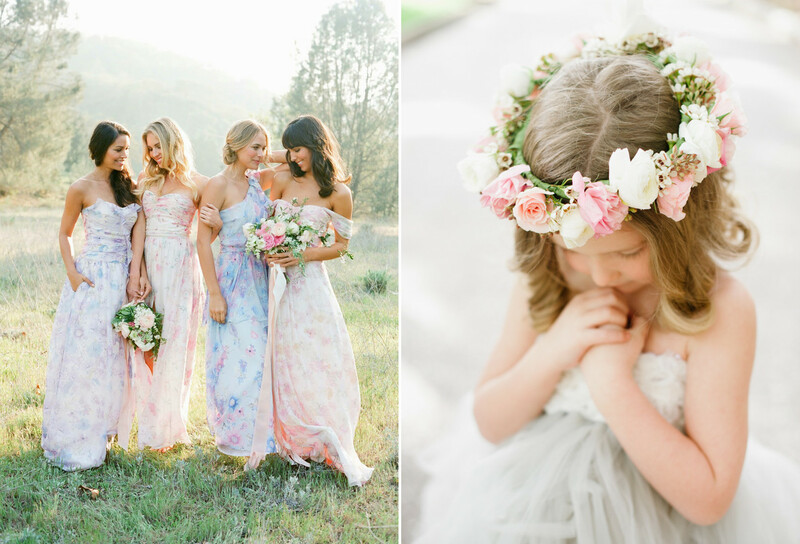 For the cute complement, of course, flower girls with flower crowns will do the trick. If you prefer plain dresses than patterned ones, stick with earthy or calm hues. Perfect for cocktail hour, set up lounges for your guests to relax and mingle. With the garden surrounding, it will be like treating your guests on a picnic. To add more floral elements, create flower chains for a photo backdrop and scatter flower petals on your aisle, leading all the way to the altar. 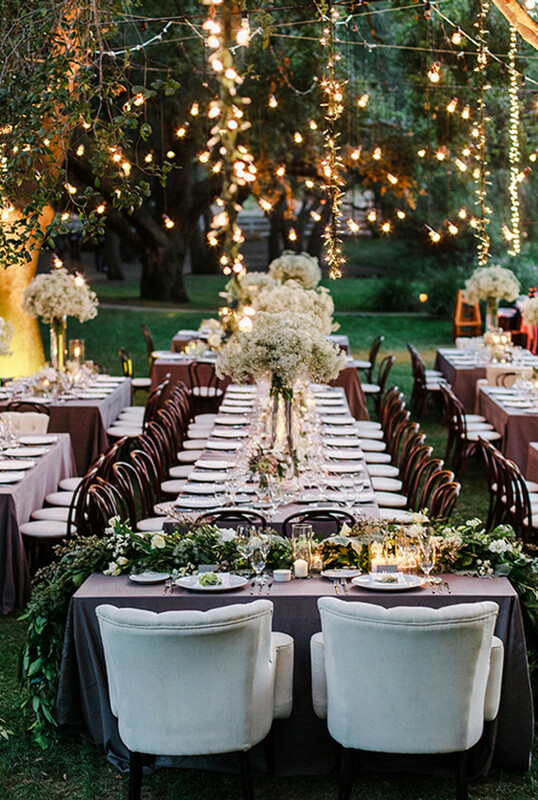 To add a romantic and warm ambience, hang lights over trees above the head and light candles to complement the tables. This little touch will guarantee that sweet and intimate feel about the wedding that you are sure to love. Make use of lush and vibrant flowers to create breathtaking centerpieces for your wedding tables. 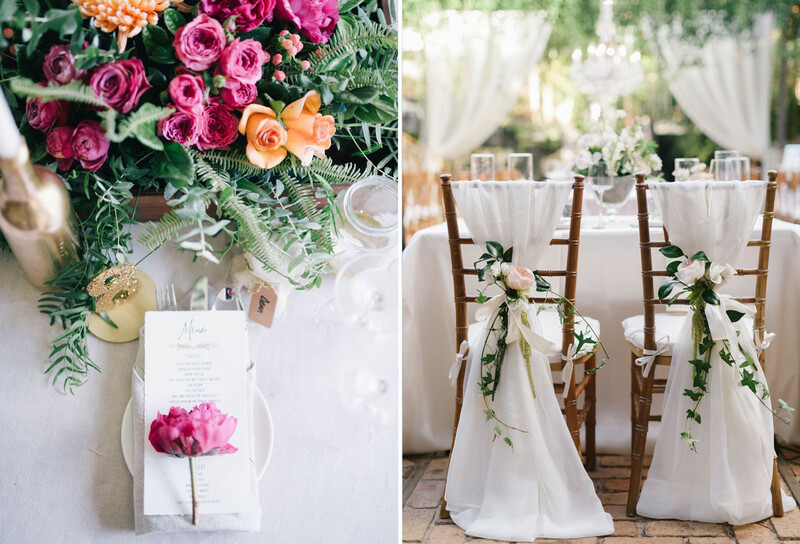 For the bride and groom chairs, drape a white fabric and adorn it with flowers along with vines for a rustic touch. Lovely! 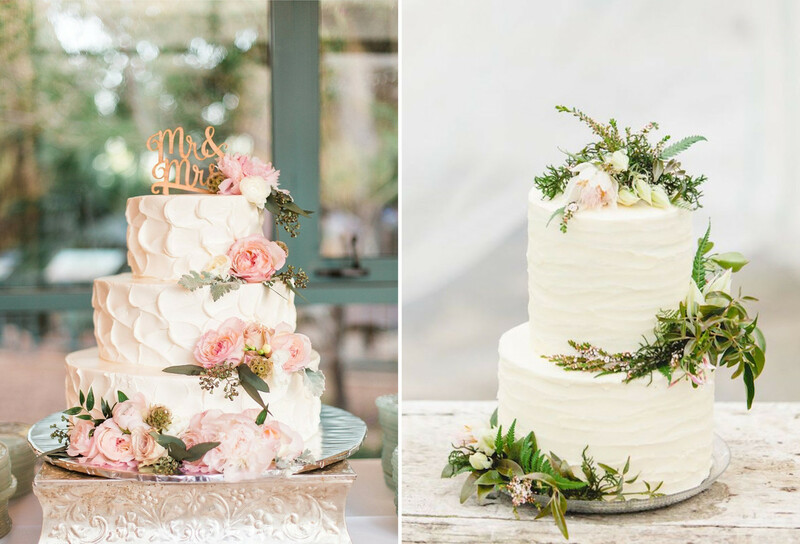 Either more rustic or more feminine, you can’t go wrong with the cake. Use more greens over plain colored cakes to get that rustic charm, or throw in more colorful flowers to obtain the girly feel. Being the main element your guests will bring home to remember the nuptial by, it’s essential to think this one through. To stick with the garden theme, present your guests with mini succulents or flower seeds for them to take home and nurture. 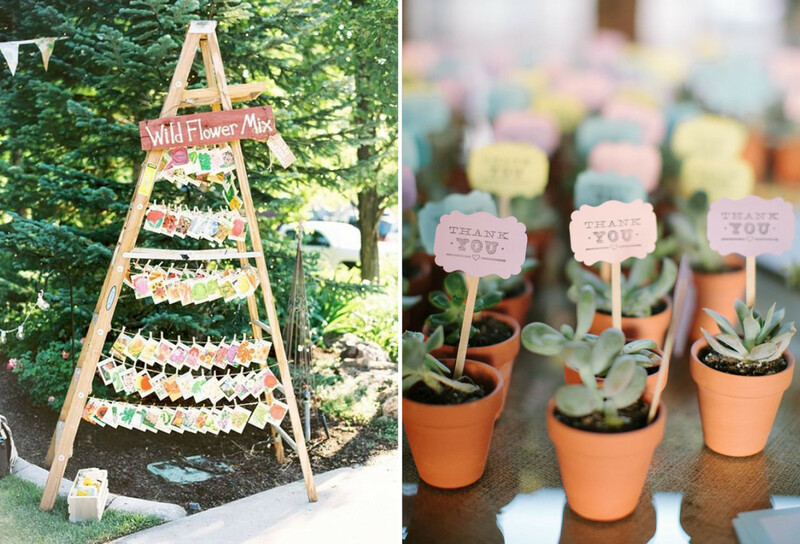 This way, your guests will have something cute to take home and surely it will not just go to waste.